For nearly seven decades, Grace Flying Service has been providing professional aviation services to the tri-state region of northwest Kansas, northeast Colorado, and southwest Nebraska. The business is predominately an agricultural aviation business--which uses customized aircraft and precision GPS guidance--to help farmers nourish and protect their agricultural crops. Those crops would otherwise suffer dramatically reduced yields from weeds, insects, and disease. If you want to feed a planet with 7,000,000,000 humans, you have to use pesticides. And if you are among the 700,000 million people who live on $2/day, you are very happy that modern agriculture has dramatically reduced the real price of food. We are proud to be part of a system that provides that affordable food. We also provide FBO and other aviation services on the Cheyenne County Airport (kSYF) in Saint Francis, Kansas, along with some advanced flight training. In previous years, we provided more extensive aviation services, including biplane rides, primary flight instruction, and Air Taxi (FAR 135) flights. Those services are sadly gone: the Federal regulatory structure now simply asks too much. Grace Flying Service was established in 1949, when the founder--John Grace--was told by a friend of an exciting new invention with a "funny name": 2,4-D. This new product was reportedly able to kill weeds without damaging the wheat, an amazing claim at the time. Grace's experience flying a variety of aircraft in WWII--including P-40s and the twin boom P-38 Lightnings--allowed him to get a summer job in Hays, Kansas, applying herbicides from Piper Cubs. Using aircraft to spray pesticides was also new in the Midwest, although it had been done in the southern part of the US, often with dusts instead of liquids: hence the name "crop dusting". After the summer in Hays, Grace purchased and converted an 85 horsepower Piper Cub to perform agricultural work by adding a hopper, booms, nozzles, and a pump. The Cub's limited horsepower proved was inadequate to the task: This shortcoming was demonstrated by a dramatic--but very short and unintended--landing in ripe wheat. Stearman From Below. 10 Nozzles From Internal Boom Visible. Undaunted, Grace took a financial plunge and purchased a surplus Army Air Force trainer, a Boeing PT-17, commonly known as a Stearman. The Stearman--a 220 horsepower, tandem seat, open cockpit biplane--only cost Grace $800 (about $8,000 in today's dollars). But there were additional costs for the spray equipment and a loading truck: which were worth as much as the war-surplus biplane itself. The Stearman was not as popular with many pilots of the era, because the bigger engine drank three times as much fuel, yet only went a little faster than the Cubs of the day. Plus, the Stearman was noticeably harder to handle on the ground, and in the Cub, you were sitting indoors. ..courting a local woman, and who had the audacity to believe in a radical new idea. This money for this venture was borrowed from a local banker, Herman Miller, who may have been motivated more by curiosity and entertainment value than profit motive. Or perhaps the banker just believed in the earnest young man who--returned from the War--was working in the community, courting a local woman, Elsie Bandel, and who had the audacity to believe in a radical new idea. Soon, the front seat of the Stearman was replaced with an 80 gallon "T-tank", so named because of its shape, and sported an internal spray boom inside the bottom wing, powered by an air-driven pump. 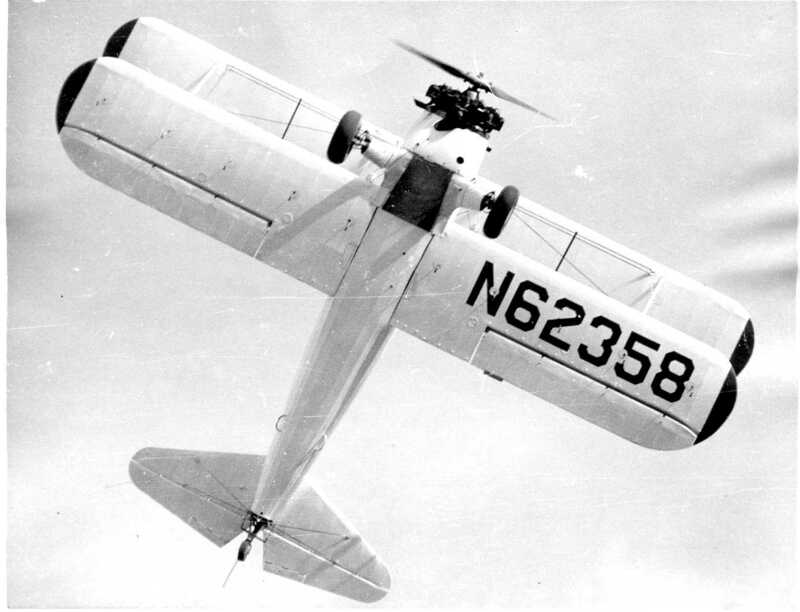 Now that his new Stearman was equipped with state-of-the-art equipment, Grace needed to convince local farmers that this flying contrivance and a new herbicide with an odd name would actually kill weeds and not damage their crop. The summer of 1951 spawned a lot of weedy wheat. The war-surplus biplane provided the only means to fight the weeds, and local farmers rapidly became believers in aerial weed control. Banker Herman Miller was repaid much more quickly than anyone expected, and a new business was born! After perhaps a decade, the modified Stearman was replaced with a brand-new Snow S-2A, an early production aircraft designed exclusively for aerial application by Leland Snow. The Snow was a clean-sheet design, not a modified airframe. The Snow was an open cockpit, low-wing monoplane with mostly aluminum construction, and a high-lift constant chord wing. Uniquely, and with serious crash-worthiness implications obviously not considered in those days, the pilot sat between the hopper and the engine, as opposed to today's configuration where the seat is behind both heavy objects. The S2-A was a little slow and a lot noisy, but it did a lot of work. This S-2A was powered by a 240 HP Continental tank engine. The tank engine was a war surplus, seven-cylinder Continental radial engine originally used to power Army tanks, by using a stubby propeller to provide air cooling inside the tank! The Snow was later joined by a closed-cockpit Cessna 188A AgWagon, Cessna's first dedicated agricultural aircraft. 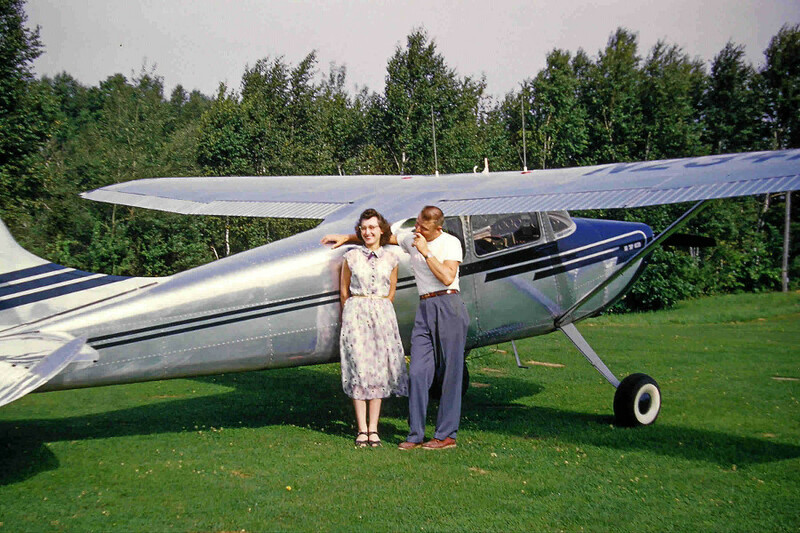 The Snow S2-A was finally sold to buy a second Cessna, the 188BAgTruck, a variant of the AgWagon with a larger hopper. The next aircraft to work for Grace Flying Service was a brand-new 1996 Weatherly 620B, purchased and flown home from the California factory. The Weatherly was a larger aircraft, powered by a Pratt & Whitney R-985, a nine-cylinder, internally supercharged 450 HP radial engine. In 2012, Grace Flying Service sold the Weatherly 620B and purchased a turbine-powered 1995 Thrush S2R-G6. Over the next couple of years, the Thrush was extensively renovated, given a new paint job, and the original Garrett 750 shaft horsepower "dash-6" engine was replaced with the current 1,000 HP "Super Six", which is flat-rated down to 840 HP to accommodate the gearbox. The approximately 22:1 gearbox reduces the engine's 41,000 operating rpm (N1) to a prop speed of 1,850 rpm. The Thrush hauls 500 gallons of product, burning 45-50 gallons per hour of Jet A, while cruising at 145 mph, 8 feet above the target crop. Both the AgTruck and the Thrush are precision guided with specialized differentially-corrected GPS units which have fuselage-mounted light bars to provide heads-up swath guidance to the pilot. The turbine powered Thrush hauls 500 gallons of product, burning almost 50 gallons per hour of Jet A, while cruising at 145 mph, 8 feet above the target crop. Instead of only one herbicide option, we now use fifty or more pesticides, often in complex tank mixes of several products, to treat very specific pests, weeds, and disease problems. The newer chemistry is more efficacious, safer to humans and the environment, and very specialized in its effect on the plants and the targets. But we still use a little 2,4-D in a few of those tank mixes: it was indeed an amazing invention, helping feed the world for over half a century. Many farmers now have crop consultants who scout fields and provide advice on when to treat specific problems. Agricultural aircraft have sophisticated engine monitoring instruments, on-board weather reporting, and flow monitoring devices for the pesticides. In addition to the sub-meter swath guidance GPS units, some agricultural aircraft--including ours--have ADS-B, which electronically locates other aircraft via transponder signals. Without aerial application, today's farmer would suffer significantly decreased yields and increased operating costs. The National Agricultural Aviation Association (NAAA) estimates that 20% of pesticide applications are done aerially, a multi-billion dollar annual business in the US alone. The original Stearman now sports new fabric and a different N-number, and has been converted back to two seats. It still flies from the Cheyenne County airport on nice days, and has thrilled many passengers with the unique experience of open-cockpit flying behind the throaty road of a radial engine.